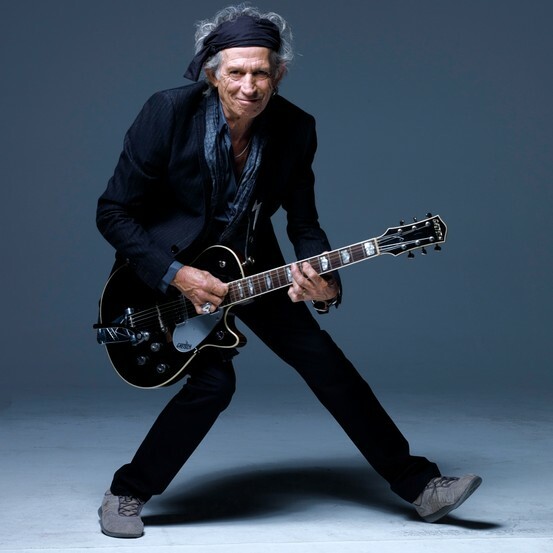 December 17 - Happy Birthday, Keith! 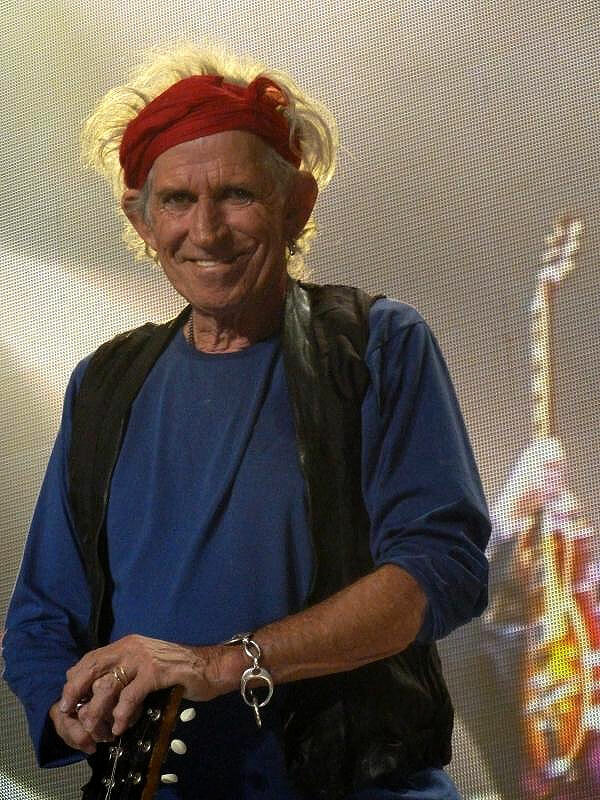 => Dear folks, friends, fans, Keith turns 70 today! So happy lucky birthday to you. Keith! Let's drink to the Riff-Master! Long may he live! Long my he roll!!! => When looking at the tour schedule so far known for the 14 On Fire Tour, starting on February 21, it is not impossible to have one or two dates more to be strewn in between shows. You just never know, so let's see what happens. 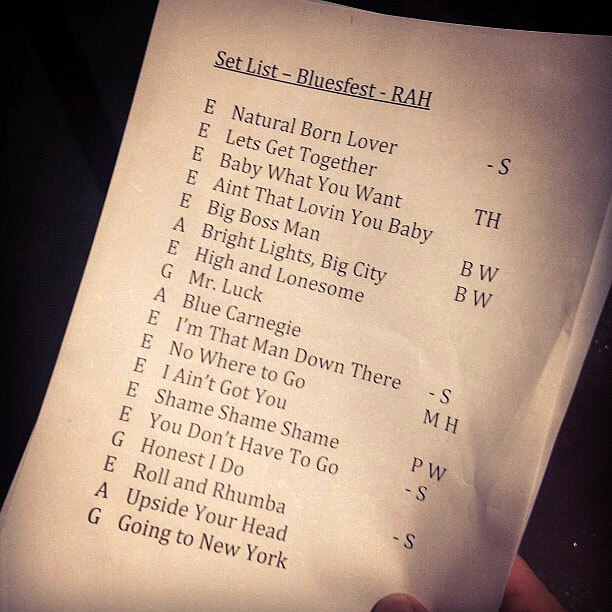 For us fans however, quite some time before the first gig next year we can be shure to enjoy the setlists from rehearsals again, because rehearse they will, definitely! 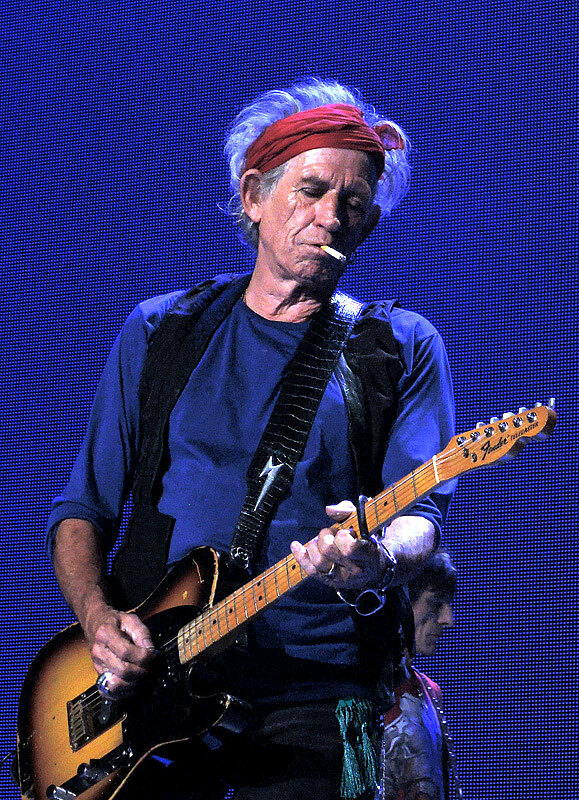 => At the homepage of the Wall Street Journal, there's a fine piece of text, I'ld like to recommend: it's about Keith (who turns 70 next wednesday!) trying to find that particular sound for Street Fighting Man. 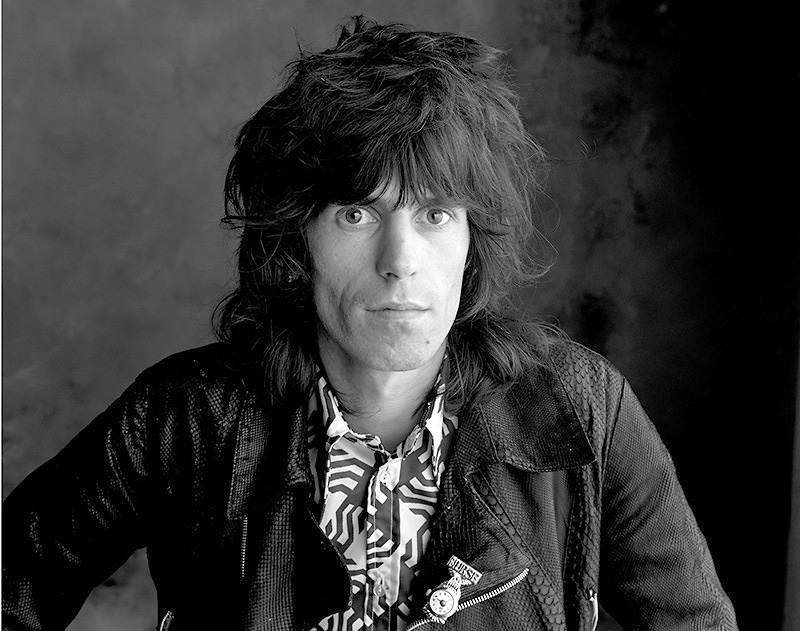 "With the approach of his 70th birthday on Dec. 18, Mr. Richards talked about how he and drummer Charlie Watts crafted the song's minimalist acoustic sound, why Mr. Richards played electric bass and not Bill Wyman, and the special way he hit the strings to get his signature sound." => "I Had a Sound in My Head That Was Bugging Me" - enjoy! 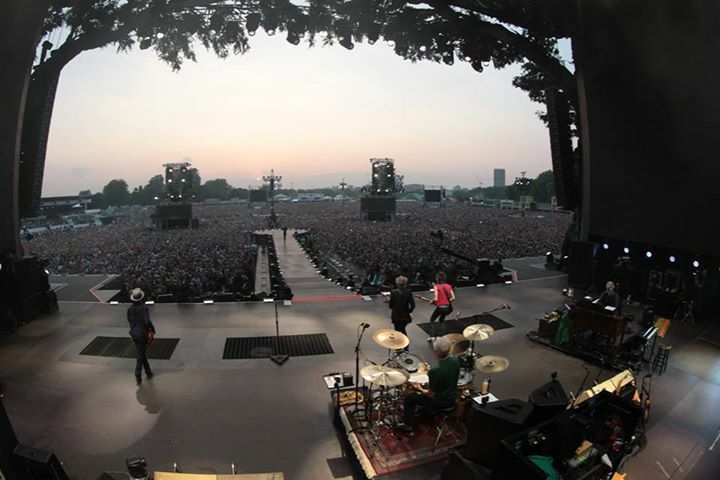 => Recommend: try to getsome of the Lucky Dip Tickets at rollingstones.com! 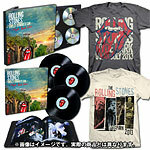 The $99.- Lucky Dip Tickets are restricted to a maximum of two (2) tickets per purchaser and must be purchased via www.rollingstones.com on Monday 16 December from 9am AEDST with a valid credit card. Venues are Perth, Sydney, Melbourne, Macedon, Brisbane and Auckland. Question: People are already fretting that the secondary ticket market will gobble up most of the best seats and resell them at several times face value. What is your attitude toward these secondary market sellers and are the Stones participating at all in those profits? Mick: I’m very much against the secondary ticket market. I don’t know anyone who isn’t. We have a lot of secondary market problems in the U.K., it’s really bad there. And lots of artists are starting to participate in it, because they put the tickets up at a certain price, then the tickets get marked up by the secondary sellers and someone else gets twice as much as you. Personally, we don’t participate in it. That’s the view we take. I think it should be illegal, and in the U.K. it would be very easy to stop it. It’s a very concentrated operation you could stop immediately. It’s a bigger problem in the U.S., more difficult to contain, but they don’t even try. It should be made completely illegal. If people don’t like it, don’t complain to the artists. Each state should make secondary reselling illegal. December 4 - Further dates confirmed for Asia!!! "A further two big concerts in Asia will be announced soon." - ... could well be the dates for Singapore and Shanghai... !? The boys are coming to Tokio! December 3 - The 14 on fire-Tour announced!!! => They're coming! We have confirmed tour dates for March and April 2014! TICKETS for all shows go on sale to the general public on Monday 16 December, with a pre-sale via frontiertouring.com/rollingstones.com from Monday 9 December. 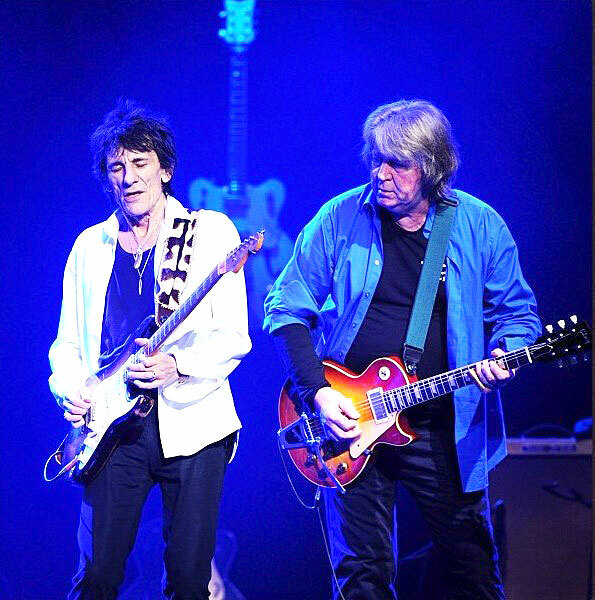 MICK TAYLOR will be part of the tour again and they will use the 'Tongue-Stage' at indoor venues together wit it's exclusive 'Tongue Pit' GA Standing area inside the stage. 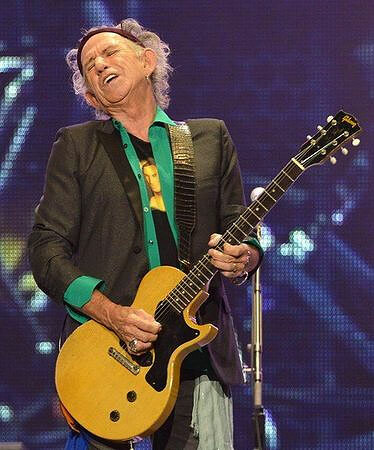 Standby for more Rolling Stones concerts in Asia being announced soon! A limited selection of "lucky dip" seats from each venue will also be available to purchase at a very special price of just $99 via www.rollingstones.com on Monday 16 December (from 9am local time), ensuring that some of even the best tickets can be snapped up for a bargain by genuine fans. 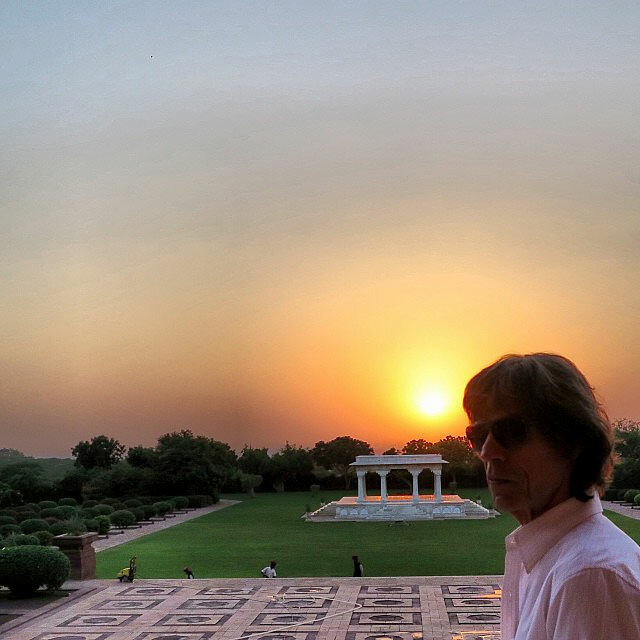 Mick: "Can't wait to reconnect with all our friends in Australia & New Zealand. It's been a while since we've played to you all, so we are looking forward to being back on stage & playing your favourite songs." Keith: "We all had such a ball this year and so we wanted to keep it going! The energy between the band is better than ever and we’re all looking forward to coming back Down Under. I can’t wait to get back on the stage with the boys"
=> Still rumoured dates are the following shows, to happen probably before the Australian/New Zealand dates, maybe in February/March 2014: Abu Dhabi (UAE), Tokyo (3 shows? ), Shanghai, Macao and Singapore. Adelaine show sold out in 1 hour So far, we have possible dates for these cities: Tokyo, Shanghai, Singapore, Macau, Sydney, Perth, Hanging Rock and Auckland. Of these, only Adelaide is confirmed so far. 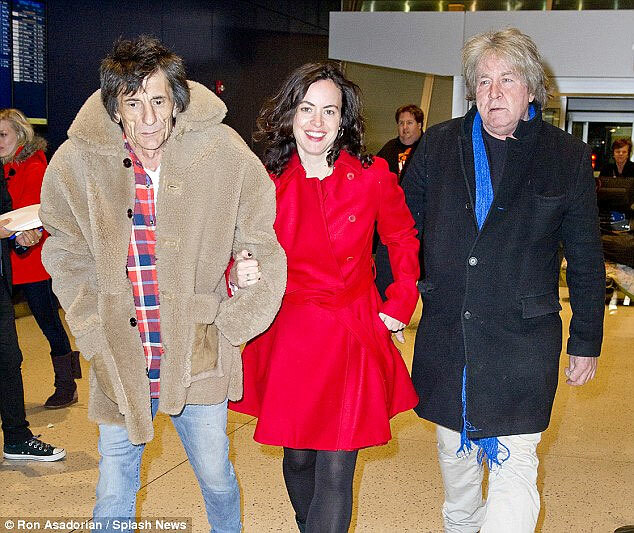 => In early 2014, Mick's gonna be Great Grandpa! 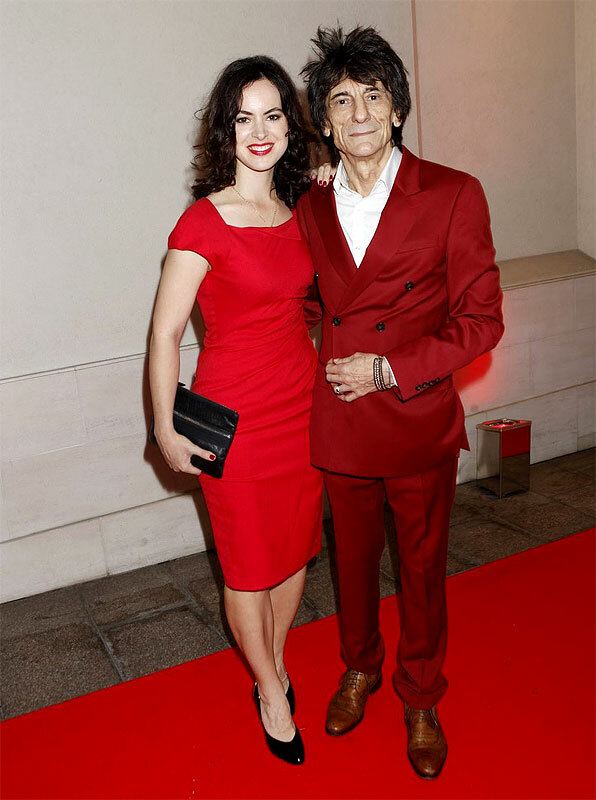 Yes, he's 70 now and his grandchild Assisi is pregnant - that's the way thing go, folks! Congratulations, Mick! We hope to see you soon in Australia, New Zealand and hopefully on tour in the rest of the world! => Ronnie Wood, Sally and Mick Taylor were spotted at JFK Airport, NYC, caching a flight to London, UK last sunday. 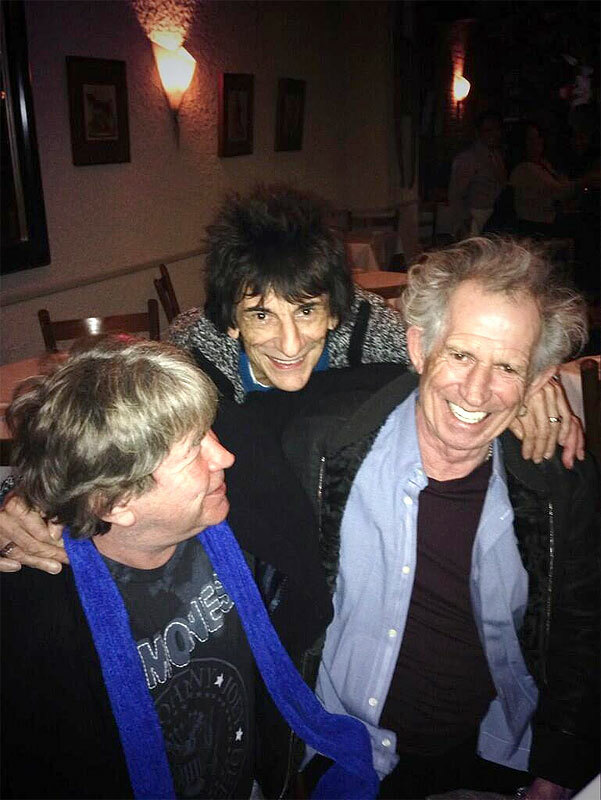 It's really great, seeing Ronnie and Mick Taylor hanging out together. 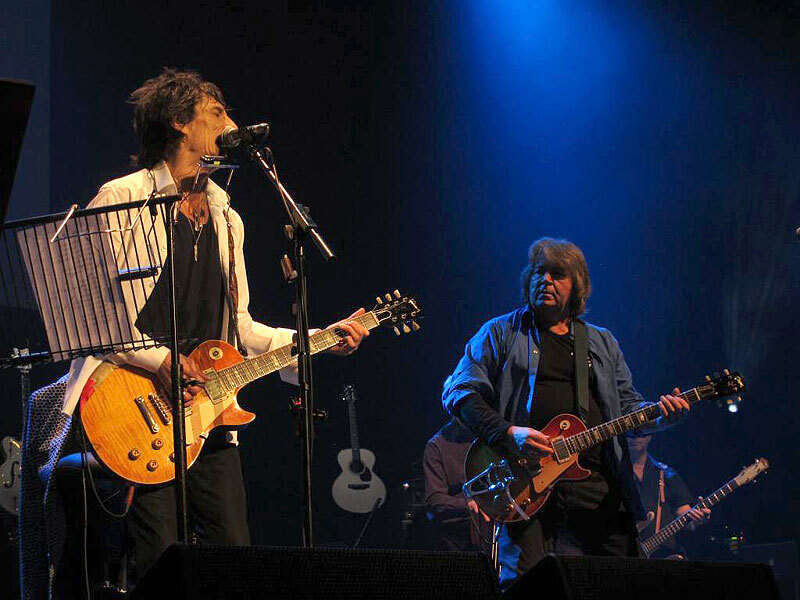 Let's not forget, that they just played gigs in NYC together and Mick Taylor is also scheduld for the 2014 gigs in Australia and New Zealand. More dates hopafully to be added soon! => So far, we have one date confirmed and several others rumoured or likely to happen: Tokyo, Shanghai	and Singapore	in March or even February, Perth,	Adelaide (confirmed), Melbourne	and Sydney	in March and Auckland in early April 2014. 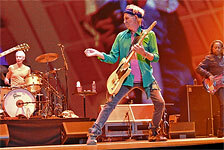 ==> The Rolling Stones are officially set to open the Adelaide Oval 22 March 2014! Pre-sale 11am ACST on 21 November - 6pm 22 Nov (or earlier if pre-sale allocation is exhausted). General on sale starts 9am ACST 25 November! Mick Taylor will be a special guest for this concert. More details: The stage design for this show includes a massive ramp, over 30 metres long, which extends right into the audience allowing the Stones to interact directly with their audience. 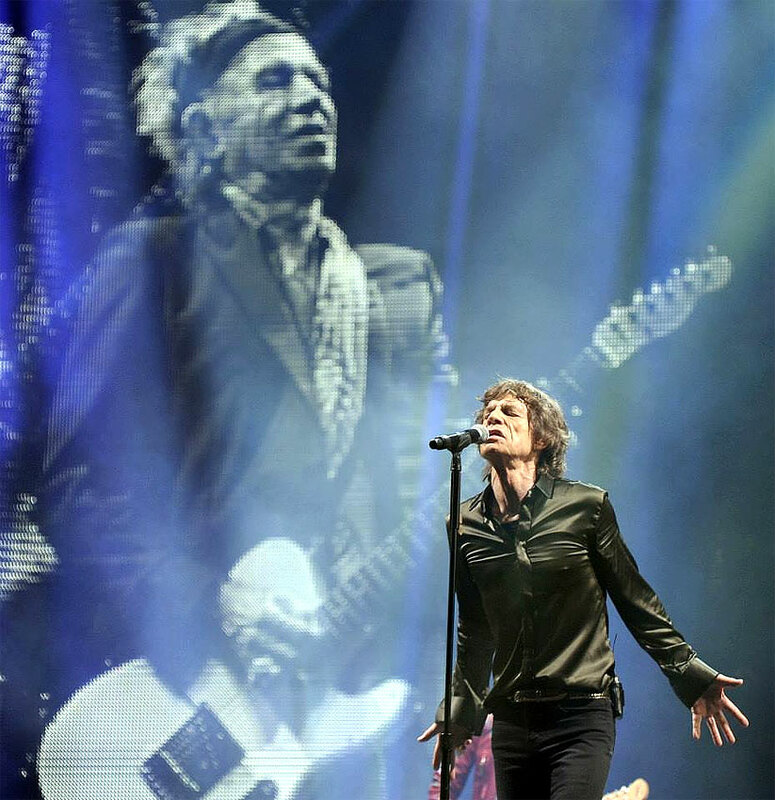 Known for their ground-breaking sets and use of cutting-edge technology, the Stones� set design will feature video screens and special effects that will enhance the high-octane experience of attending a live Stones� show. Nearly 60 trucks are required for all the staging and production and it will be the only show in Australia featuring this level of outdoor production. The Adelaide concert will be promoted by IEC in association with Frontier/AEG Live. 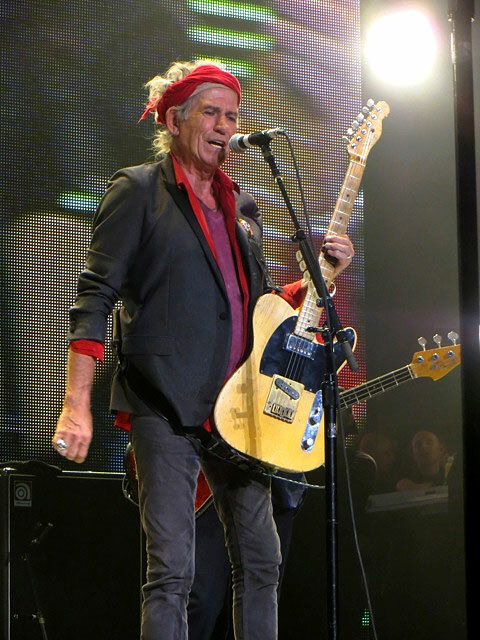 ==> More Rolling Stones concerts in Australia, and one in New Zealand, will be announced by Frontier Touring & AEG Live in the next few weeks!!!!!!!! 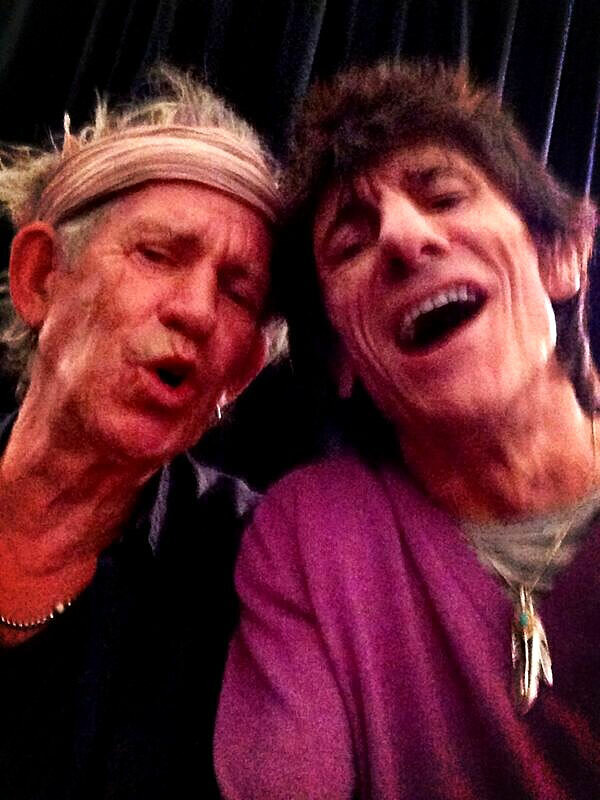 => Mick Jagger, Keith Richards and Ronnie Wood announced via twitter some great news would be out soon. Mick even tweeted "some exciting gig news"! "It can now be revealed that the concert date will be announced today. It is understood to be on Saturday, March 22. The show will come at the tail-end of the city's famous festival season, which includes the Fringe and Adelaide festivals, as well as the Clipsal 500 V8 race." More news here as they pop up! => Tour rumours still keep coming up. triplem.com.au comes up again with hopes for australian gigs next year. 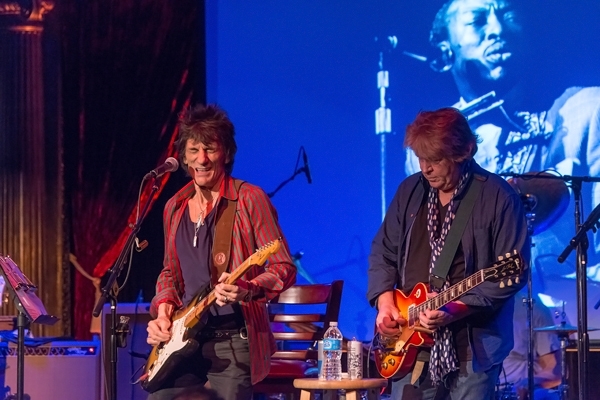 From another source, we could heared from a fan whose friend was spending the day with Darryl Jones, that Darryl also expects tour dates for next year. => Thanks to a friend, we now have some 13 links to MP3s from Ronnie's and Mick Taylor's gig at the Cutting Room, November 7th - thanks for sharing, mate! So check out the Comments! => Yeah, Ronnie just keeps on playing. 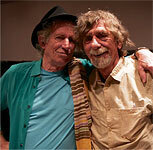 He and Mick Taylor played songs of Jimmy Reed in the Cutting Room. 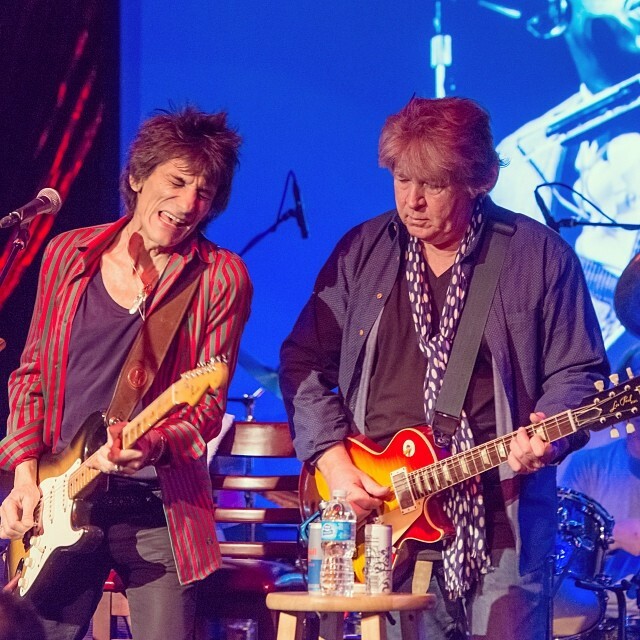 We already have a review by rollingstone.com for yesterday's gig: Ronnie Wood and Mick Taylor Unite in New York - I wonder where Keith is - I guess he would have loved to join in, wouldn't he? Meanwhile, we have three videos from yesterdays show; I'll put them, together with hopefully more from these gigs ==> together on a seperate page. 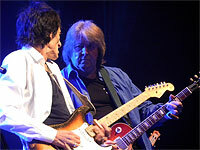 => Two great pics more of Ronnie and Mick Taylor at London Blues Fest (thx mikegriff!). 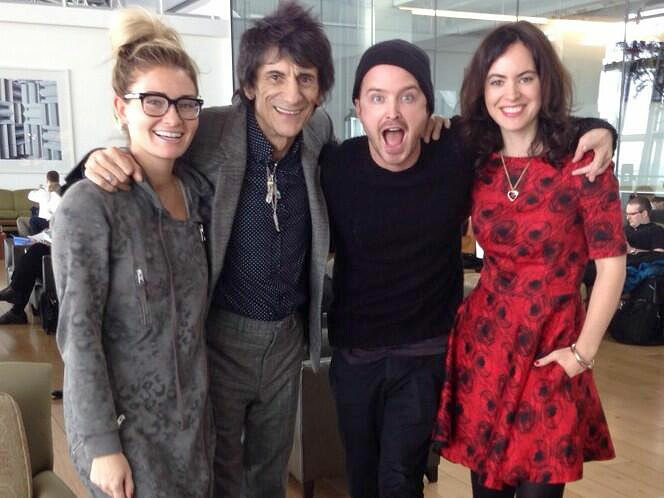 And on Tuesday, Ronnie and Sally met Aaron Paul at the airport. 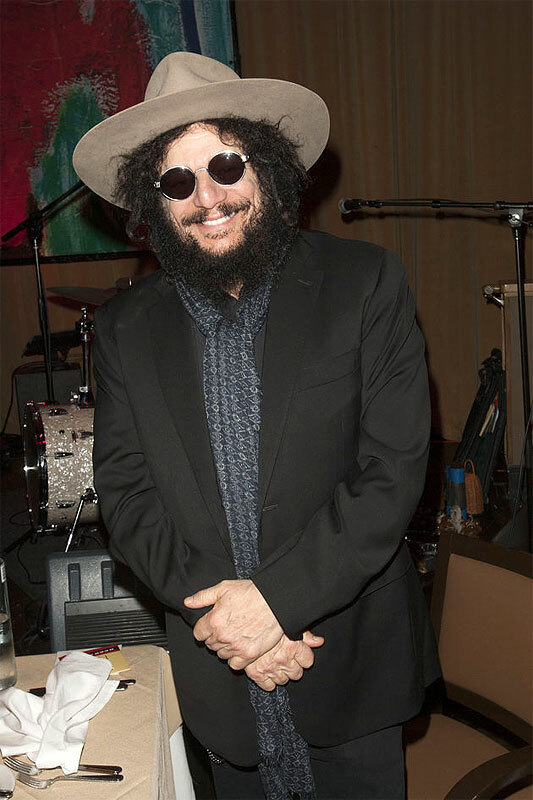 Just now, Ronnie is in NYC for his gigs at the Cutting Room! Keep on playing, Ronnie! => Check out START ME UP (4:05) - the new teaser for the upcoming release of Sweet Summer Sun! Enjoy! First, there are some nice photos, L'Wren Scott uploaded to Instagram, showing her and Mick on holiday in Jodhpur, India - there's also a corresponding article at dayilymail.co.uk. 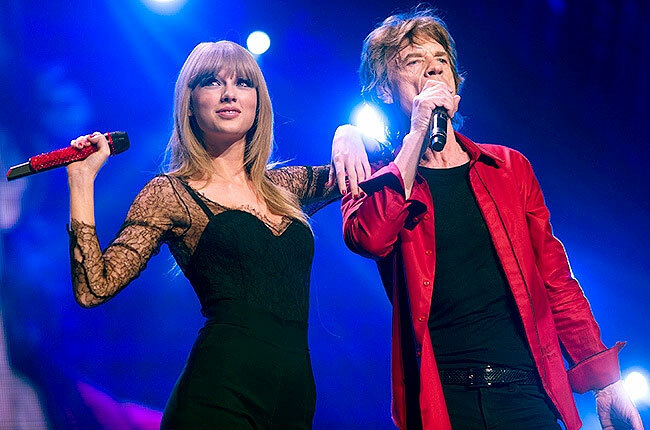 Third, it's Billboard, nominating the Rolling Stones for their Touring Awards! => You folks in NYC are kind of lucky, you know that? 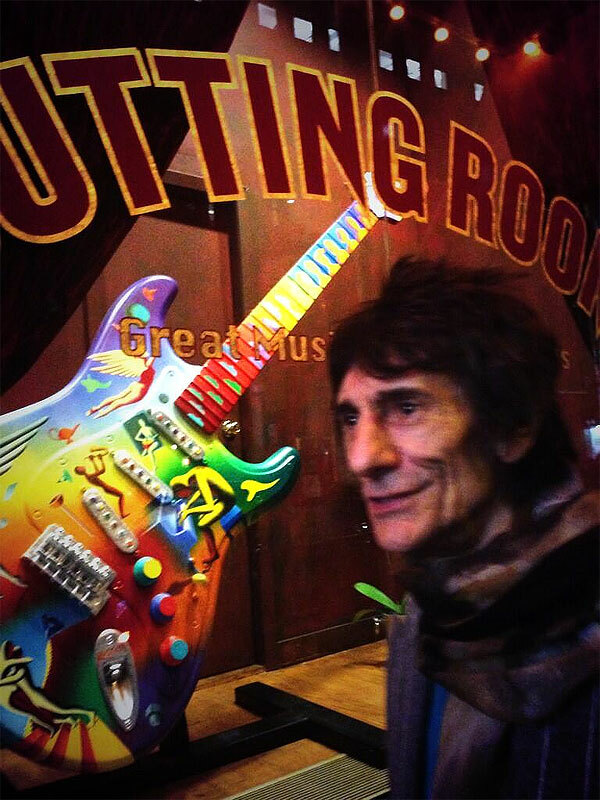 Check out the dates of November 7, 8, and 9th, because Ronnie Wood and Mick Taylor are setting up shop for three gigs at the Cutting Room on East 32nd St. and Park Avenue [The Cutting Room 44 East 32nd Street / Bookings@TheCuttingRoomNYC.com / (212) 691-1900)]. 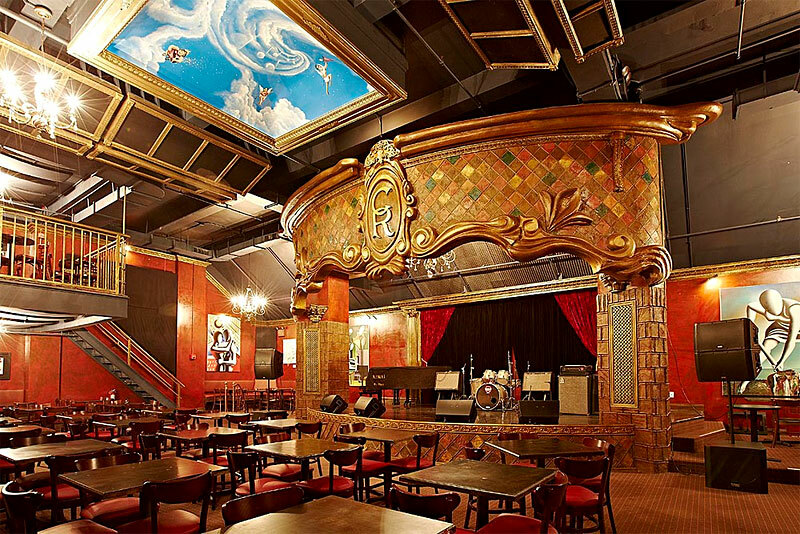 So far, the Cutting Room website has no info on how to buy tickets or the gigs as yet. The first night appears to be invite only, so tickety may be hard to find, but let's hope for the best for the second and third show there. I hope you folks send in some reports to zebulon[AT]stonesnews.com?! 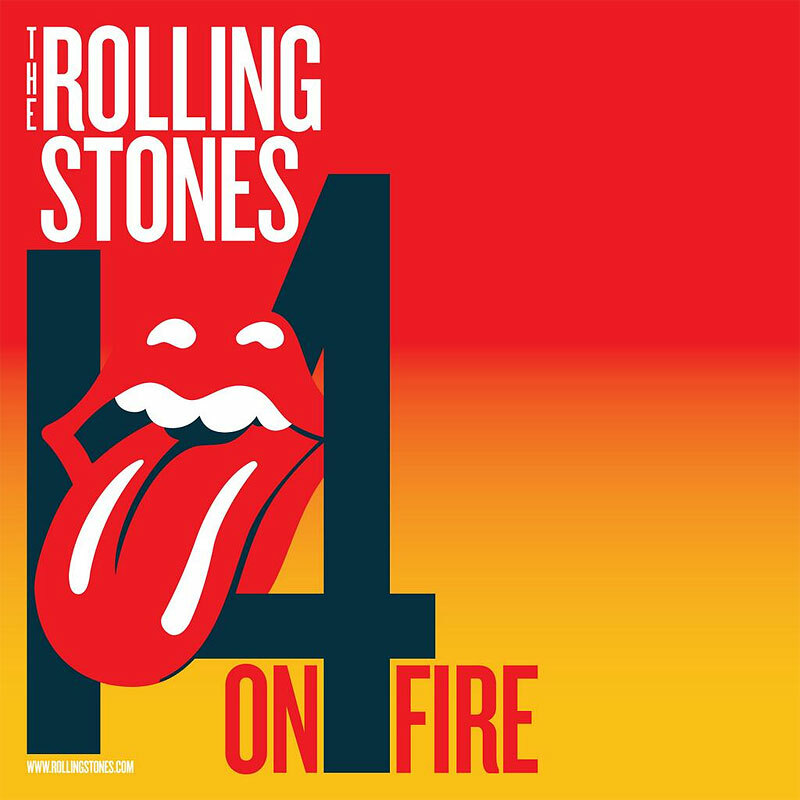 => SpectiCast, in association with Eagle Rock Entertainment, is proud to present THE ROLLING STONES: SWEET SUMMER SUN - HYDE PARK LIVE. On their page you'll find cinemas all over the world showing Sweet Summer Sun between the end of October and beginning of November. Have a blast, everybody! 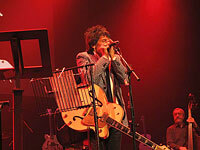 Our dear friend Ronnie Wood once again was the first to relate tour-news to the press! October 10 - Sweet Summer Sun: JJF!!! Keith was target for a bomb!? And man this thing ROCKS! And YES, we can be proud to be fans of the world's greatest Rock'n'Roll band! => Do you stay in NYC? Then check October 28 for a special event at the Ziegfeld Theater in New York City. The new documentary of the Concert For Sandy Relief will be shown there for the first time. Many of the performers who participated in the 12-12-12 concert, as well as people hit hard by the hurricane, will be invited to attend. Public screenings of the movie will begin on November 1 in New York and L.A.
=> Do you stay in London? To celebrate the imminent release of The Rolling Stones' Sweet Summer Sun – Hyde Park Live concert film on DVD and Blu-Ray, Uncut Magazine has teamed up with Eagle Rock to give away a pair of tickets to attend an exclusive advance screening at the Electric Cinema in West London at 8.30pm on Thursday, October 10. To win the tickets, you must answer a question which should really be easy to answer for you Stones fans and sent them your answer via email - so go there and lots of luck to you! The London Hyde Park gig from this summer is going to be shown by the BBC this month, on Saturday, October 12 at 10.35pm on BBC1 - so don't you miss it! Details at metro.co.uk. Sept. 19 - Brigitte Zaries writes on Facebook: "Keith Holy Sh^* Richards of The Rolling Stones ,My Producer ,bass player Neil Jason and the amazing Drummer , producer Steve Jordan .Now that's a day in the studio!" 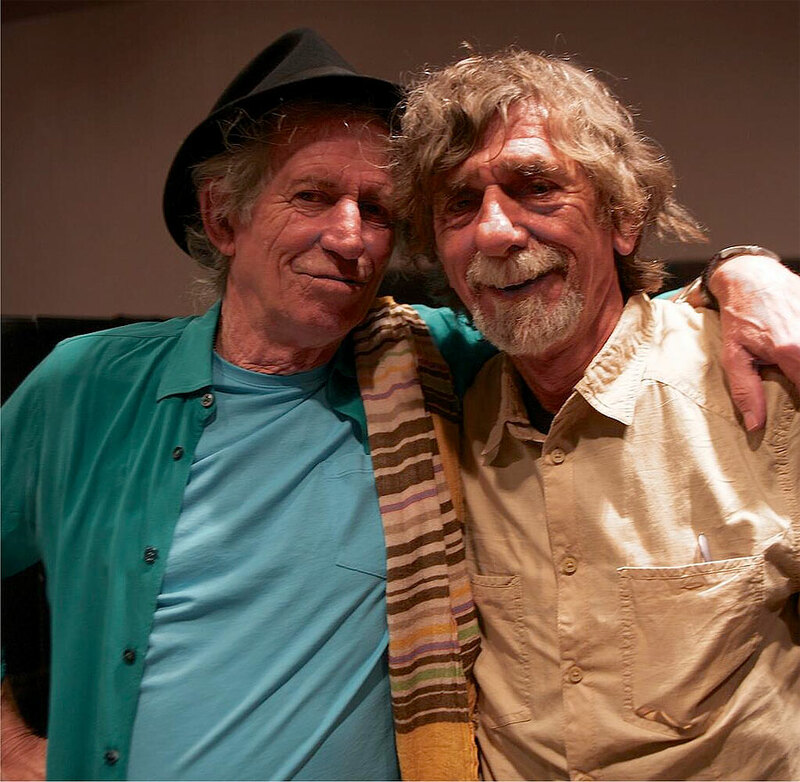 Sept. 20 - A pic of Keith with Spooner Oldham (see below) without info as to where and when it was taken - most probably it's from Keith's stay in NYC last month, where he was taking care of his new solo album! Sept. 23. 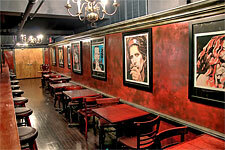 - Recording session at Germano Recording Studios on Broadway, Manhattan. Keith wanted Lee 'Scratch' Perry to mix a track for the new solo album he’s making with drummer and producer Steve Jordan. At the session, Lee turned up first and got straight down to business. 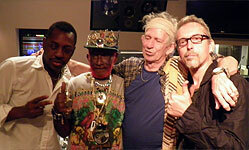 The track in question is Keith’s own version of ‘Prisoner of Loneliness’ by Gregory Isaacs. 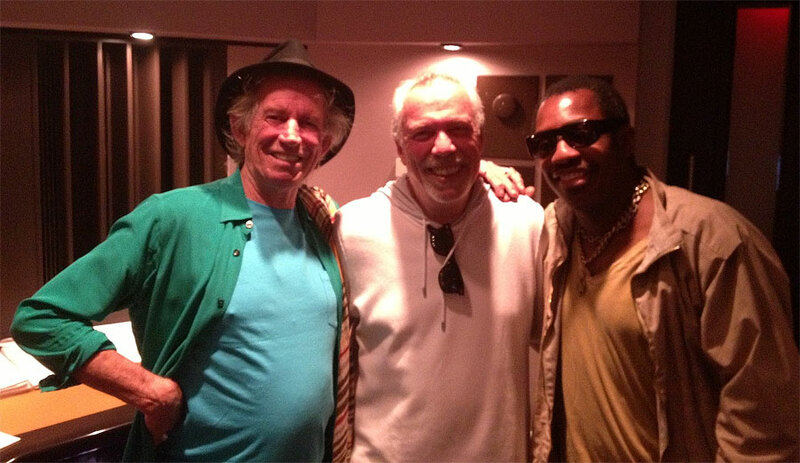 By the time Keith rolled in, the studio was firing on all cylinders. 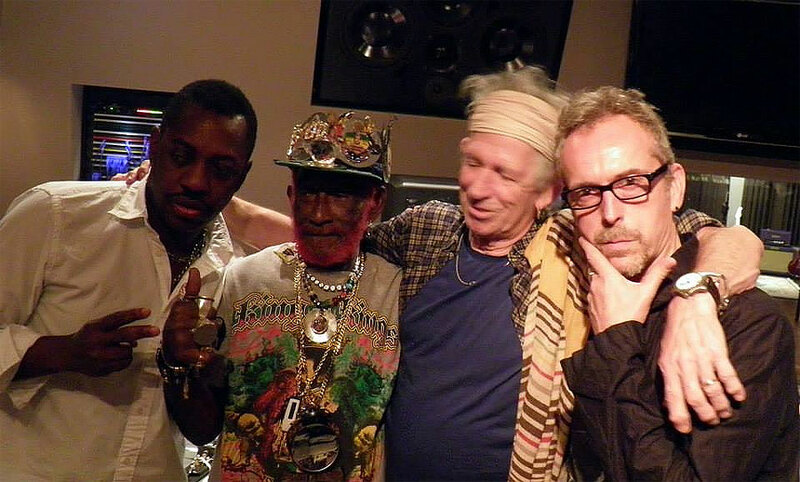 With The Upsetter at the controls and a studio full of KR’s Rock ‘n Roll motley crew, a party was bound to follow... More details at State Of Emergency's blog. 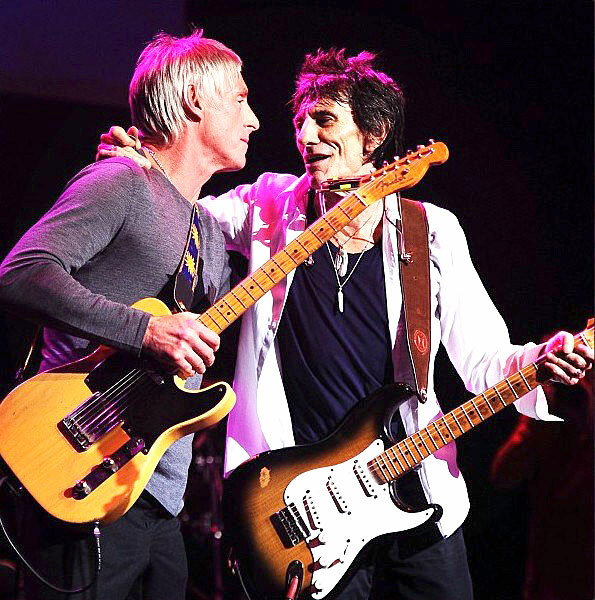 Maybe (rumour) Keith's new solo album is out by christmas... maybe (!!). => Hi there, folks... not much in the news stoneswise lately, huh? Well, that's true. But just have some patience, there will be more coming at us, no doubt. "BTW we have finally found the only live recording in existence of the Don Harrison Band at the Rolling Stones Knebworth 76 festival and will gladly give it completely free of charge (excluding postage) to anyone who has already purchased the set and it will of course be included with any new Knebworth commemorative set that is purchased on rockmusicmemorabilia.com through stonesnews.com. For the completist it now means the commemorative set includes live CDs of every group who appeared at the festival. Anyone wishing to claim their free CD should email Henrietta on stating the limited edition number on their Knebworth commemorative set." 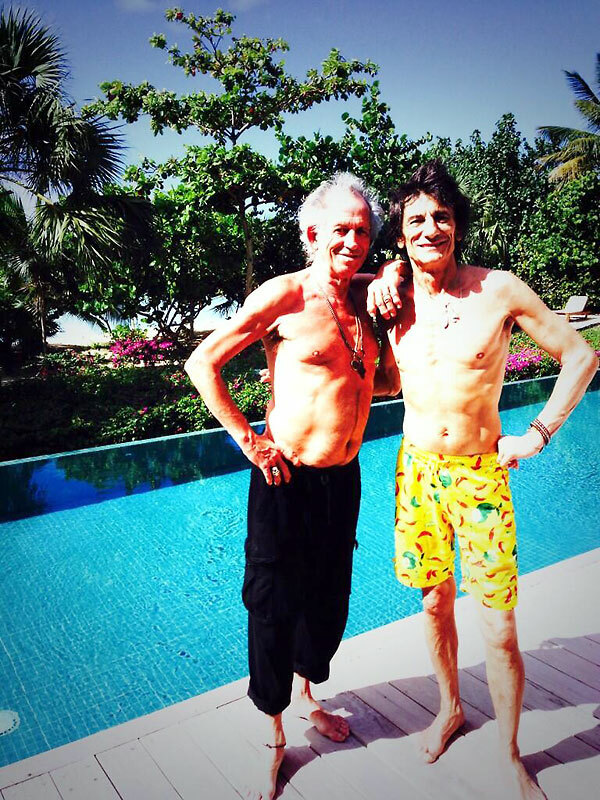 September 22 - More tour rumours, Mick Great Grandpa! 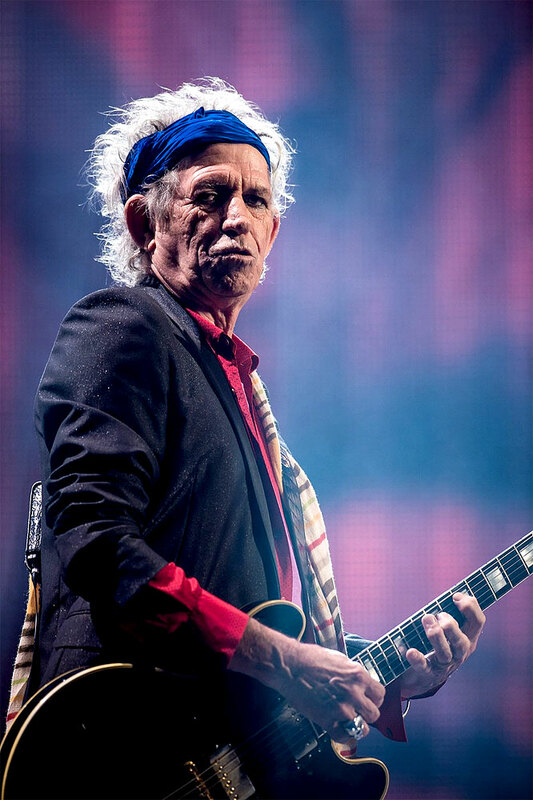 The Stones are due for another honor - now it's as Music Masters during the 18th Annual Music Masters series in Cleveland, beginning Monday, October 21 through Saturday, October 26, 2013. There will be a tribute concert on October 26 and many know names are goint to join the house band: drummer Steve Jordan, Ian McLagan, Lisa Fischer, Bernard Fowler, Bobby Keys, Steve Madaio, Ivan Neville, Waddy Wachtel and Willie Weeks. Additional artists are said to come by, too and will be announced in the coming weeks. The only ones still missing in the line up are ... the Stones! September 11 - At least 14 dates for spring 2014? Latest rumours (!!) tells of more than 14 shows in european cities which have been postponed to spring next year. 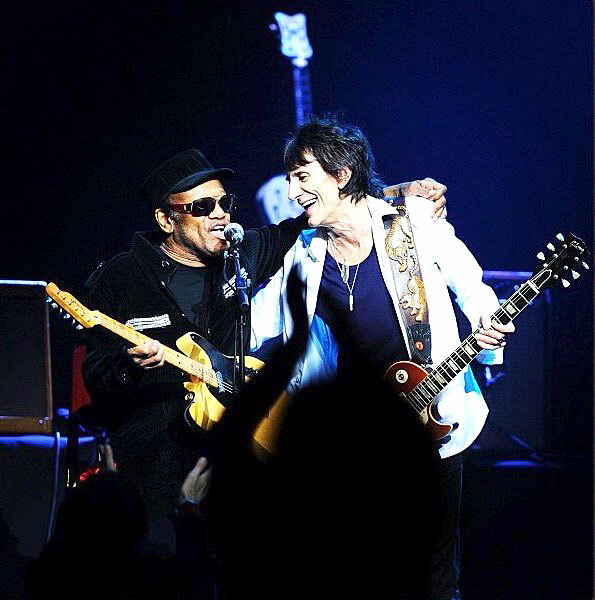 Reason: Mick produces an Elvis Presley movie with his Jagged Films... Tour-announcement should be in March and tourstart should happen in May 2014. At least, that's what an austrian paper boasts to know since this Monday: oe24.at, dated. As far as I can see, oe24.at is still the only source for this information and this doesn't give it more credibility, IMHO. They also mention that the Stones would play three gigs in Germany as well as in Amsterdam, Paris, Oslo, Vienna (Happel Stadium) and Antwerpen. Ok, let's keep an eye on this, but we shouldn't take this too seriously by now. September 6 - Sweet Summer Sun! 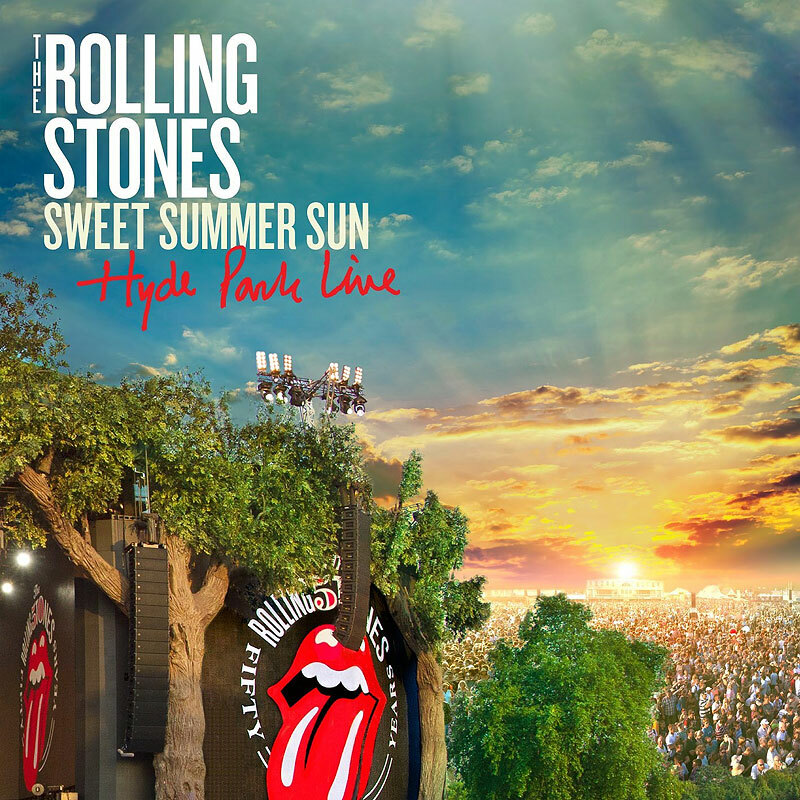 Official info is this: "The Rolling Stones, with Eagle Rock Entertainment today announce the DVD and Blu-Ray release of The Rolling Stones Sweet Summer Sun � Hyde Park Live. 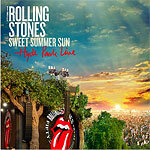 Available from 11 November 2013, Sweet Summer Sun � Hyde Park Live chronicles the Rolling Stones� historic and triumphant return to London�s Hyde Park with a 2-hour live concert and highlights package including new and unseen backstage footage.". 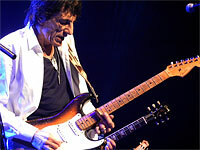 => BluesFest 2013 announces that The Ronnie Wood Band will close the event in a huge grand finale on Friday 1 November! That would also imply, that at least on that date, there will be no Stones gig somewhere else, right? "Jimmy Reed was one of the premier influences on The Rolling Stones and all the bands that love American Blues from that era until the present day. It is my honour to have the opportunity to celebrate his life and legacy with this tribute." => German tabloid BILD still asserts 2 gigs in Germany and 14 dates in Europe. Don't get this wrong: there might be some truth in that, but this is far from fact: nothing is officially announced yet. Although I expect more tour dates to come and also hope for a new album, we must be careful: there's more hoaxes than facts as of today. "Today (August 23), the band announced the other tour dates for 2013. 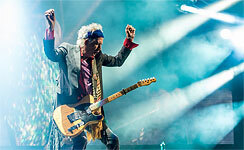 In 2013, there will be Rolling Stones gigs in Berlin and Cologne." That, of course and sadly enough, is rubbish. I commented that report, which might have been issued in 2012 already (see the comments dates), asking, where they could possibly have their info from, because NOTHING has been announced by the Rolling Stones as of today and that even if that would have happened, I would have known it before them (hehehe ...). And now guess what they did: my comment was deleted within a short time... also: giga-music.de links to ticket offers from VIAGOGO... that about tells the story, right? You see: let's keep calm, let's wait for reliable info and let's look forward to the shows to come! 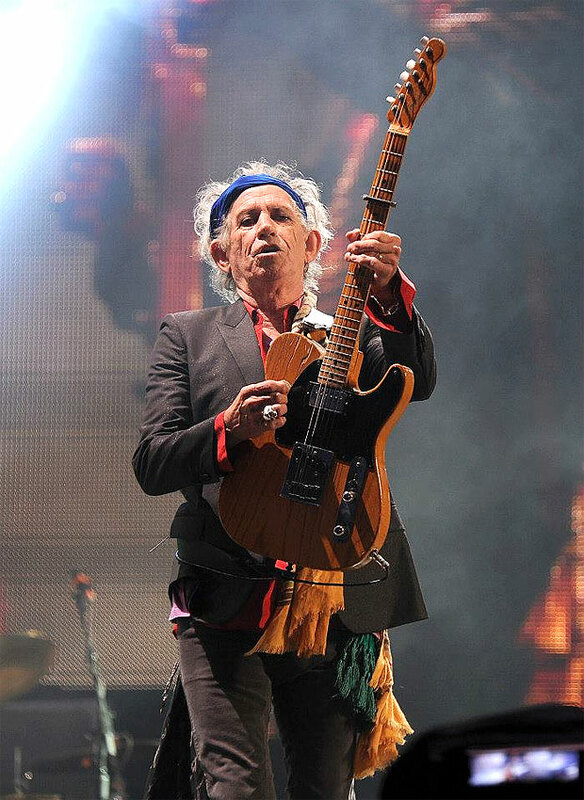 => The Stones very successfully played Glastonbury festival this year. Now at palladia.tv that show will be broadcasted on Sunday, September 1st, starting at 7:00 pm EST. Whether that will be the complete gig or just a part I don't know yet. August 23 - 2 gigs in Germany! 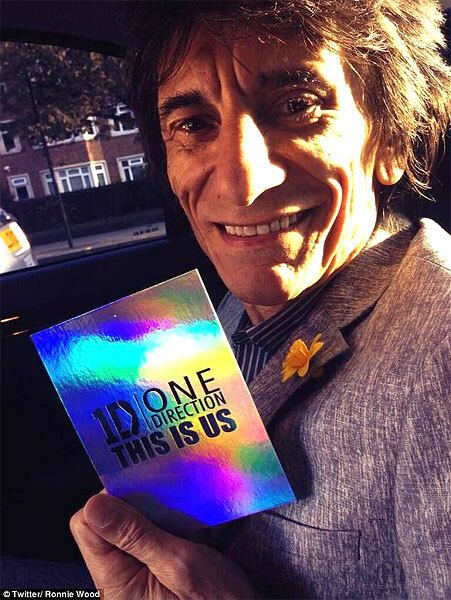 Ronnie & 1D, Sticky Fingers next? => German tabloid BILD just has the news that the Rolling Stones will come to Germany this winter and will play arenas in Berlin and Cologne (Köln)! I just called them - they can't confirm anything yet. However, that tour-rumour for this fall/winter could soon transform into fact. Let's hope for the best! Cologne newspaper 'Kölner Stadt-Anzeiger' reports that the Arena management is surprised by that BILD-article and said, that at least this year (! ), there is no Stones gig as far as they know of... if more news come in, I'll keep you posted! => In a nutshell: We all hope for more tour dates and even a new album. It seems unlikely for both to happen this year simultaneously. Rather, this would be a case of either more tour dates or a new album in the fall/winter or 2014. You know I am cautious and reluctant to take some report or news for granted, lest even official. 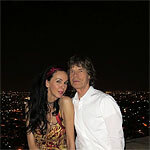 I wrote it a lot of times and keep writing things like "... but that's not official" or likewise here on stonesnews.com. And that's for a reason. Becourse that's the case in most cases: we just don't know for sure. The same happens now: there have been reports and well considered voices who speak about the possibility that there will be no more tour dates to come in 2013. I wouldn't mention this if I don't take that seriously. My impression from the last shows was, that they would continue the tour after a break. But the opposite clearly also could come out as a fact. But it seems, that this issue gathers momentum in that it comes from more than just one source and that's exactly what strengthens it's credibility. Be that as it may, the Stones decide what they do and they are 4 individuals who decide together. If they decide not to tour, we have to accept that. We'll be sad, but we know, if they actually would decide to not play any more dates this year, that decision has one or more of these reasons: health issues, private issues or economical issues. Other than that, I only know of reasons for them to continue: they had very much fun during the last gigs, they as musicians were in the right place (i.e. on stage) and they were also very successful financially. They have reached a point in their career, where nothing pushes them to go on tour any more except their dedication to their music and their fans. "They are really nasty. 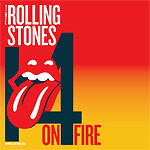 It’s a general rule they have a fan base that just seem to be always angry at the Rolling Stones for a lot of reasons. They’ve got their own grudges. I shouldn’t say that I didn’t really care. I probably did care, but when the Rolling Stones were doing their best work, they were a step ahead of the people that loved them so much. I thought, 'How cool that I get an opportunity to piss their fans off?'" Wait a minute. Ok, many fans were 'surprised' about the new logo, some others pissed. What does Walton think of this? "A lot of people didn’t like it at all ... That was good. I was glad that they didn’t like it. I mean, the last people who I wanted to please were Rolling Stones fans." Uh, well, ok, thay may be as it seems, but only because fans are pissed off doesn't naturally imply that this idea is good? And who is "THE" Stones fan anyway? ... hehehe ... on the other hand: maybe we need a decent kick in the arse? Are Stones fans too backwardish, or conservative? Well, IMHO, refreshment is welcomed, even on a regular basis. The Stones were anti-establishment and they still try a little bit to be so until today. One piece of old school Grrrr Gorilla is $7500,- a piece that's because it's done by "a very ancient technique of marking on copper plate and making prints by hand." That's alright and totally ok! But still, dear Walton, I don't get that "They are really nasty" bit. Could you please explain this a bit further to me or us than you did in the Rolling Stone article? August 5 - Hyde Park review, Rumoured gigs hitlist, Album or tour? 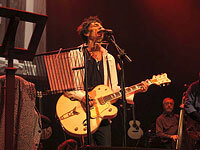 => We have a quite good review of the newly published iTunes album of "Hyde Park Live" at consequenceofsound.com! Recommended! => Europe 2013 tour: Nothing is confirmed as yet. We can hope for or expect some announcement in early September. 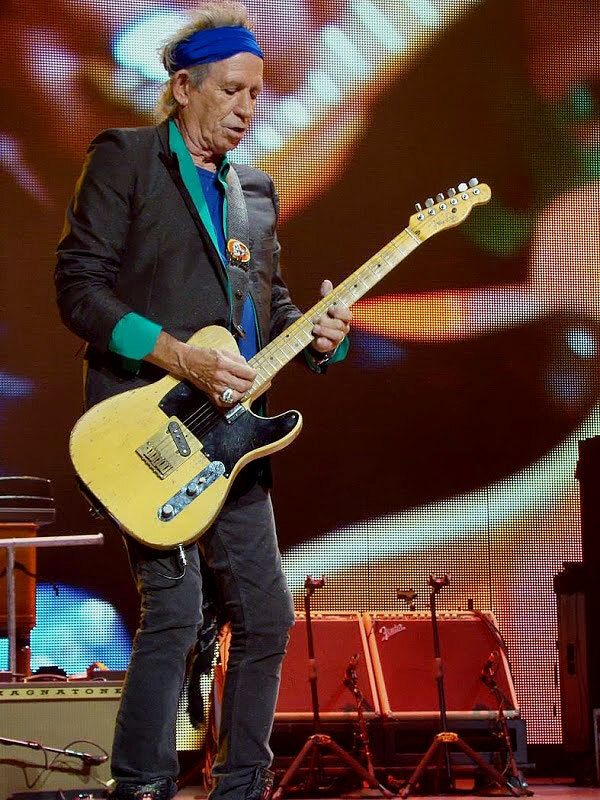 => As for the tour and/or a new album: Mick and Keith both have enough new stuff around to feed a new album. Usually though, that would take 1 -2 months to get done. That again would imply that there has to be a decision to do either a new album or a tour of Europe in the fall. My guess is that they will tour further on the 50 Years And Counting plane, then take a brake again and then decide whether to to cut a new album or not. "We went to [Depp's] house and were filmed recording with Keith, all day, and we cut three tracks," Ian reports. "And Keith was in great shape, great spirits." They recorded new renditions of "Happy" and "You Got the Silver," as well as a brand-new Richards composition. McLagan says the new tune is "really, really strong" and describes it as "a real dark song, a bit of a country song." He adds that Keith told him that the tune was inspired by the influential country duo The Louvin Brothers. 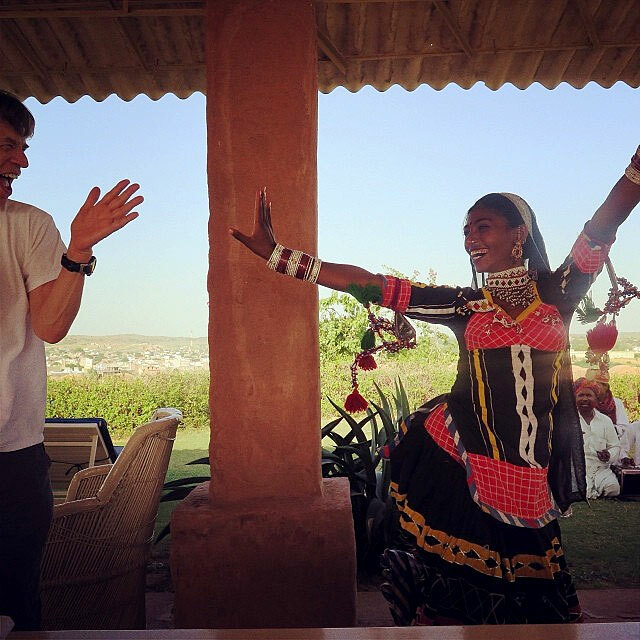 "We just, like, looked at each other and laughed," he recalls. "And we just had our arm around each other chatting. It was just so lovely." 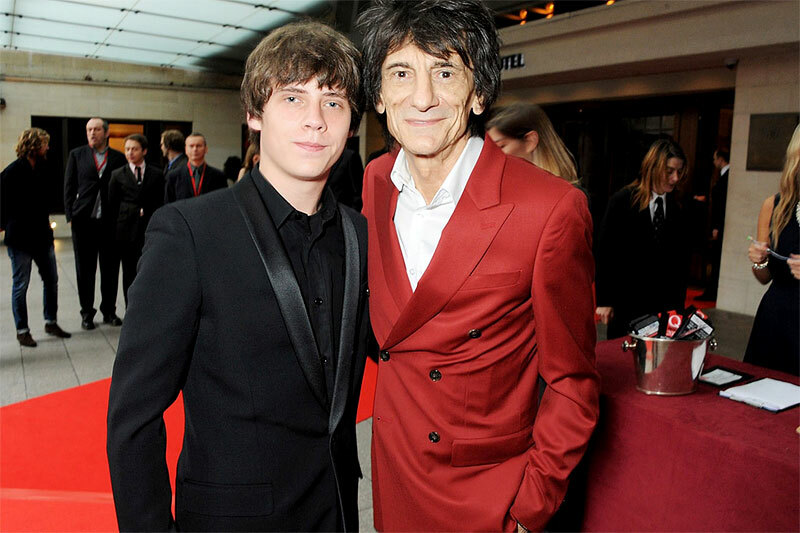 As for his take on Depp and the actor's friendship with Richards, Ian says, "Johnny Depp's like his son…he's the next Keith Richards, and he's such a sweet guy." Read on. ), we can enjoy Hide Park #1 on YouTube again. 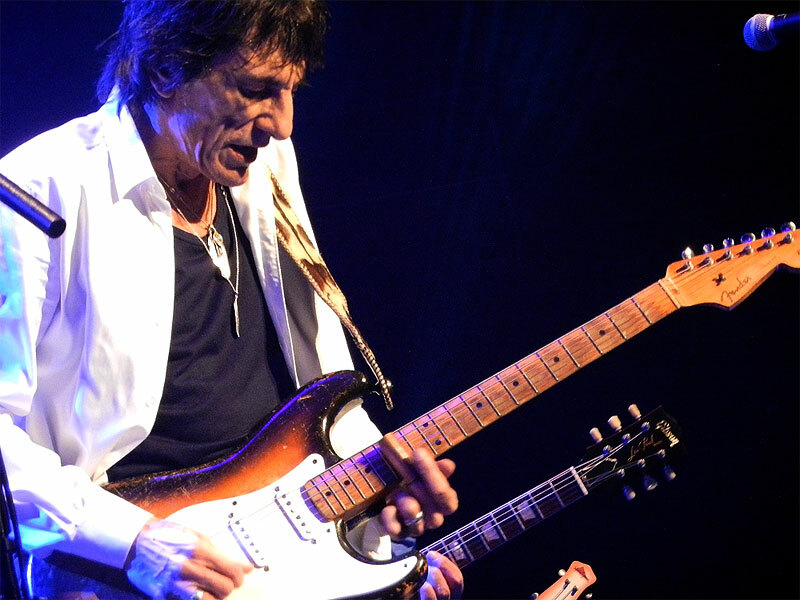 July 26 - HAPPY 70 Birthday, Mick!!! 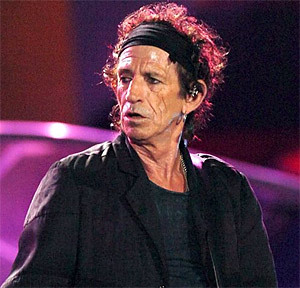 Yup: Mick celebrates his 70th birthday today. 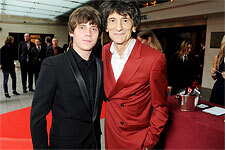 Well, Mick, thanks for all the music, Mick, stay well and please roll on! Mick said in an interview with NME.com, that he would love to play Hyde Park again! He said: "Not this year… I haven't given it any thought and nor has it been offered. But I’d love to do it. It's a great gig. I did enjoy it. It was beautiful… It turned out to be so wonderful with the sun going down behind the park. 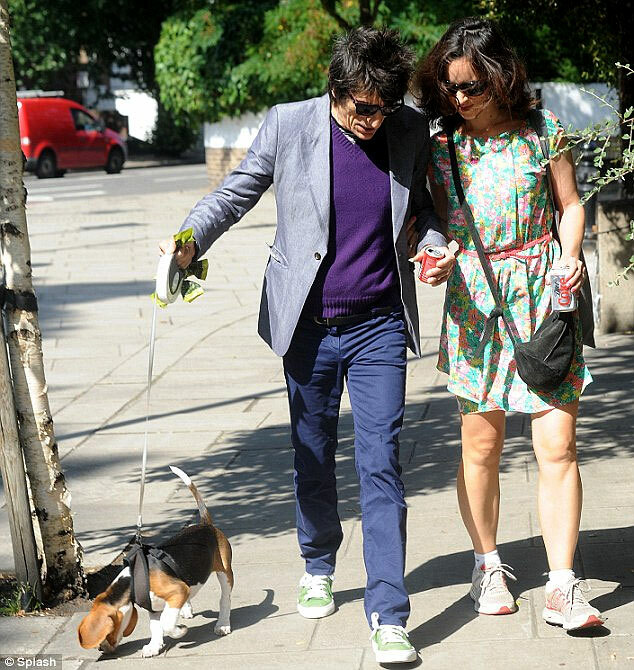 It was a perfect London evening." 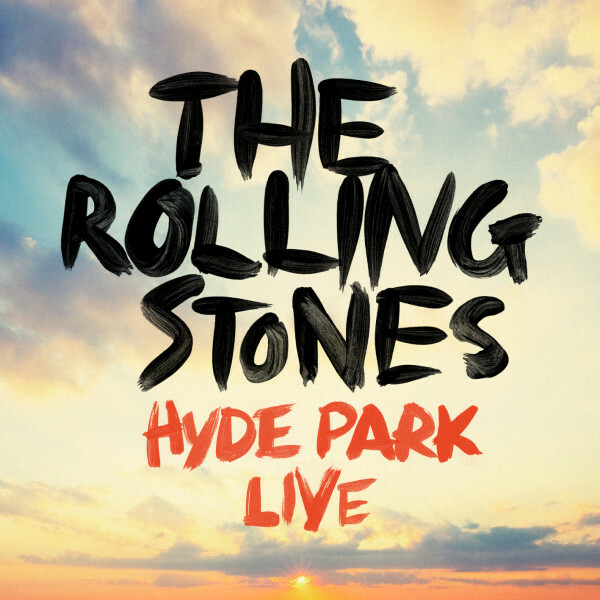 => Today, the Stones released "The Rolling Stones - Hyde Park Live" on iTunes - but only for 4 weeks! It's 9,99 Euros for all the 19 songs. ===>>> For VIDEOS from Hyde Park #1, July 6, CLICK HERE & ENJOY! ===>>> For VIDEOS from Hyde Park #2, July 13, CLICK HERE & ENJOY! July 21 - Holidays, 51 Years and counting! => Holidays! 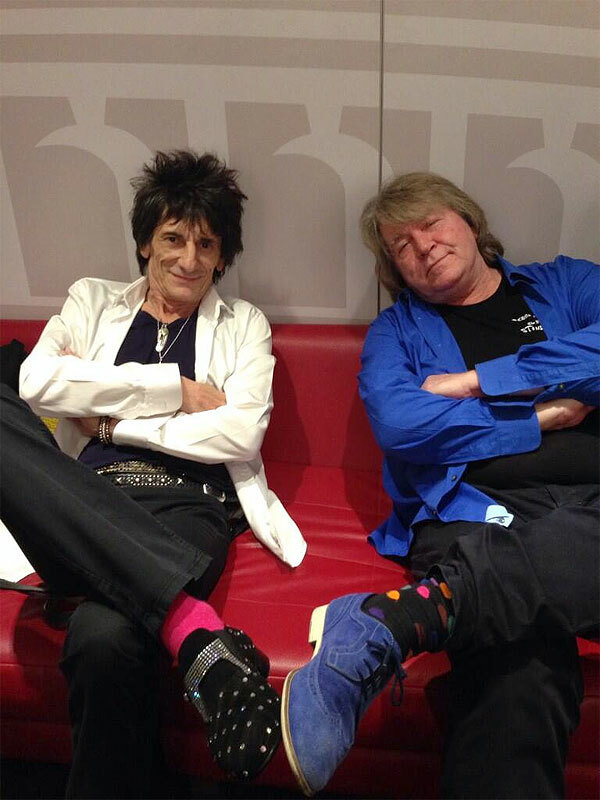 The boys are chilling - Mick twittered on July 19: "So pleased that Crossfire Hurricane has been nominated for four #Emmys. Thanks to everyone who worked on it!" 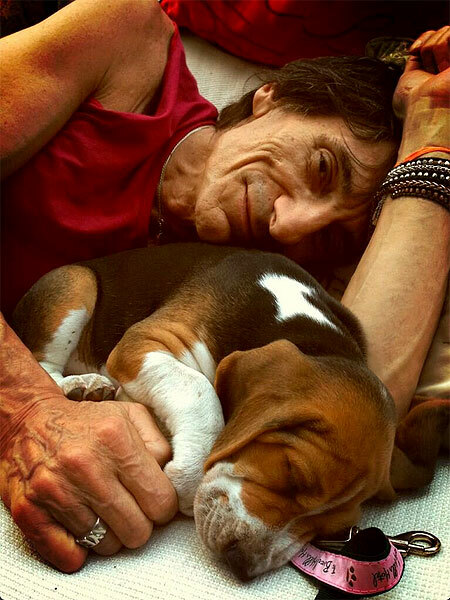 And Ronnie twittered on 17.7. that he (and Sarah) hav a new young sweet little dog, he calls her "Miss Dolly Howlin' Wolf Wood". July 16 - 50 years and counting!!! ===>>> For VIDEOS from GLASTONBURY, June 29, CLICK HERE & ENJOY! Same for the Hyde Park gigs will follow soon! Promised! Greetings from the Stones! Especially: "... see ya soon!" sounds alright with me, right? "So this is what I hope the Rolling Stones do. Take a deserved break by all means. Recharge your batteries. But don’t leave it too long. 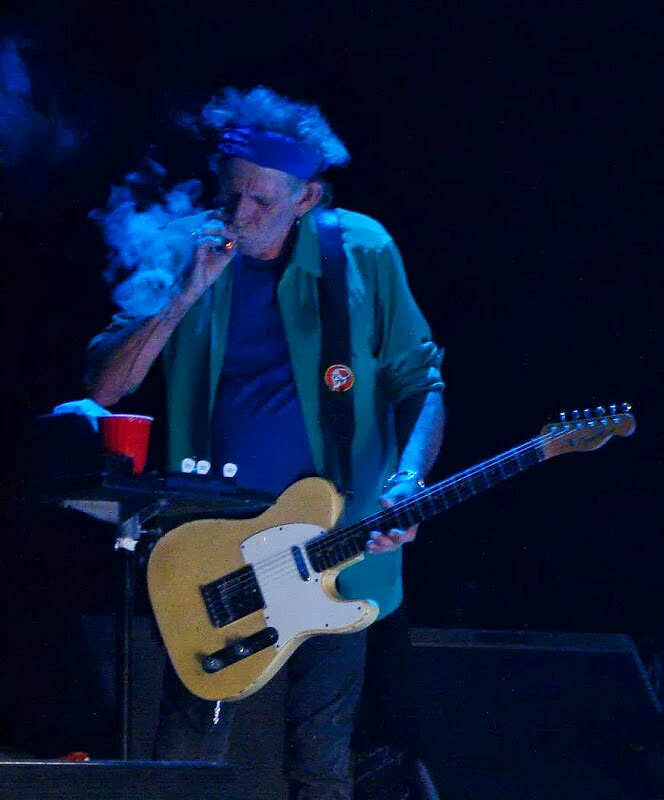 They should record one more album of back-to-the-roots blues rock and roll, with Mick Taylor joining on guitar, and then get back out on the road while they still can, and enjoy these twilight years as the greatest rock and roll band the world has ever seen. And I hope that Richards gets to fulfil his own ambition, to keep playing until he drops on the road. As he recently told Classic Rock magazine, “All these zeros that keep zooming by 30, 40, 50 years. I don't really see any reason why there shouldn't be a 60th. Either that or we croak on the job."" our friend Lukuc has dropped us some FLAC-formats to download! Thanks, mate!